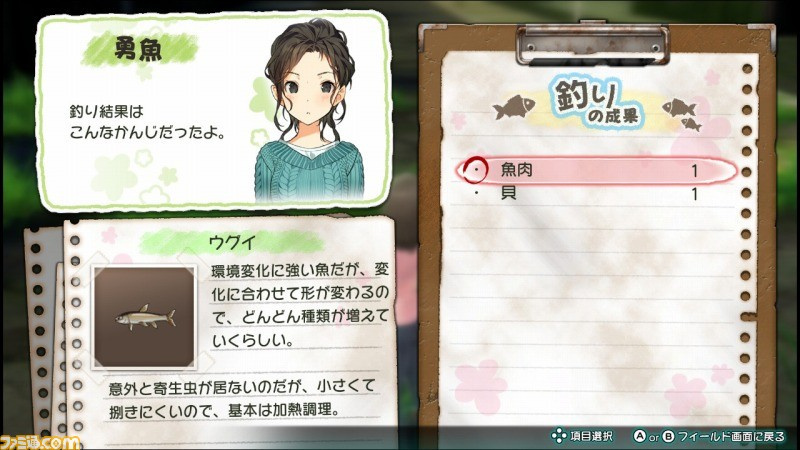 According to this week's Famitsu, Nippon Ichi Software is teaming up with Acquire to bring To All Mankind (or Jinrui no Minasama e to give its Japanese title) to Switch and PS4. It's in development and there's no word yet on a release date. 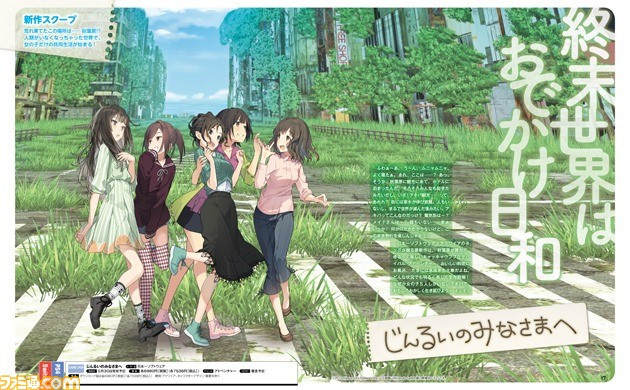 Set in Tokyo, details are a little sketchy, but the game appears to take place in a deserted Akihabara overrun with flora and fauna. A group of girls must work together to survive after some apocalyptic event. Famitsu will give us more details on the game in the coming days, but these early scans give a taste of what to expect. 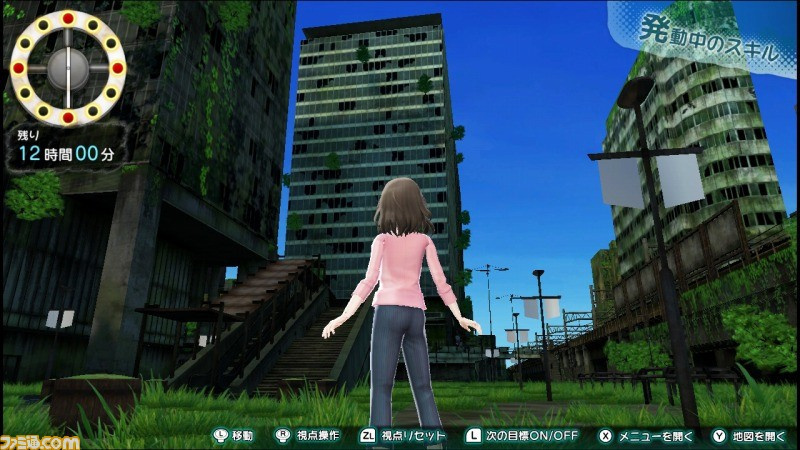 These screenshots give out a strong Tokyo Jungle vibe to us. We'll have to wait and see if this will get a western release or it'll be one to import. One to keep an eye on, for sure. Do these screenshots pique your interest? Tell us in the usual place. I'm curious as to what this game is going to be. At first, I thought it was a visual novel, but the 3D gameplay makes me think we are dealing with either a survival game or an RPG of some kind. Also, does the graphics look about 3DS quality to anyone else? Had I not read what systems this was for I would swear this was a new 3DS release. @patbacknitro18 maybe on a small phone screen but on a big screen you can tell it by far doesn't look like a 3ds game. Most japananese devs don't have tons of money to make realistic looking games. @Rayquaza2510 It's not the fact that the game doesn't look "Realistic". Tons of non-realistic looking games have been made that far surpass the 3ds's limitation, The Wonderful 101 is 1 example. But this game looks like it's almost at the quality of some of the bigger 3DS games like Pokemon Sun and Moon, or the Attack on Titan 3DS game. @patbacknitro18 The game is still in development so it could look a lot better by the time it's released. Plus the it looks a lot better than a 3DS game if you zoom in.. I think its the jagged edges making you think that. @patbacknitro18 the screens sure don't seem to be SD (as one would expect from a Switch game), and what else defines "3DS graphics", referencing the console that has seen some Wii and PS3 ports itself? The game is clearly animesque in artstyle, and that field has never required all of the GPU-voracious polish that photorealistic visuals have progressively spoiled the audiences (and inflated hardware specs) with. @DanteSolablood It's definitely a matter of the resolution. While things up close seem fine, you can tell things farther in the background have the pixilated resolution you'd expect from 3DS titles. I don't know why, but I really like these generic anime art style. Hope that this one get localized. @nhSnork What defines 3DS graphics for me is having a pixilated 3D resolution. If you look around the character, lamp post, and other buildings you can see it's pixilated around the objects. Which is what you would expect from a 3DS title. @patbacknitro18 it could also be the bad image quality of a picture. The first image alone screamed Rated M For Mature to me before even reading about the game's premise. Not another Japanese pigeon dating game? @AlexSora89 Nah. 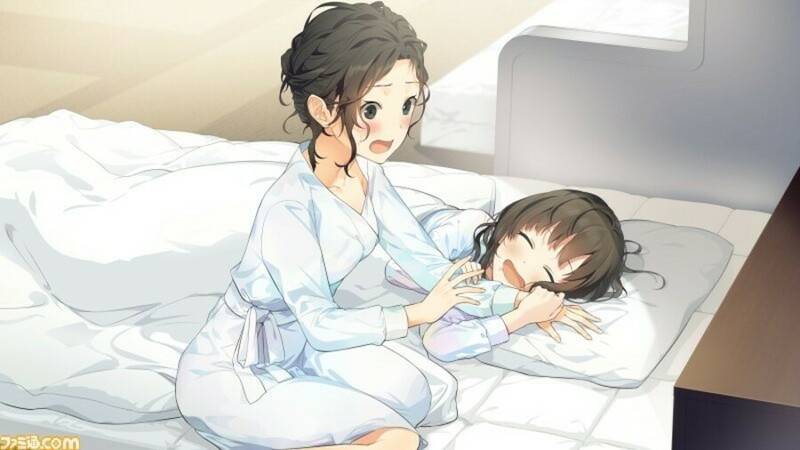 This seems like the kind of game that's gonna tease the Yuri fanservice but never actually goes all the way with it. @Rayquaza2510 But these are screenshots of the game, so this is the quality you would get from playing the actual game now. Unless they do some graphical adjustments to fix the pixelation around the objects in the game, this is what it would look like when playing it. Sounds and looks interesting. Hopefully it turns out well and gets localised. Don't mind importing if there's no Western release but it needs to have English at least for me to buy it. @patbacknitro18 I get what you mean with it looking a bit 3DS-ey. I think it is because its a scan of a magazine which in itself is a scan of the original screenshot. When it's in motion, it should look like a different game. @jswhitfield8 The explains how come the 2D pictures of the game look perfectly fine, but ONLY the 3D parts are the ones all pixilated around the edges? If it was just a Scan issue, then it would affect all of the screenshots, not just the 3D models specifically. Compare the Very Top picture to the 3D rendering of the game and you can see this is 100%, not a scanning/screenshot issue. This is just how the game looks at the moment. Could it be improved? Yes, it is still in development. But at the moment, this is just how the game looks. And I'm not stating that this is a bad thing, I'm just stating the matter of fact. B) It's just that terrible and we put up with it. But the more I look at it, the worse it gets haha. @jswhitfield8 Alot of people seem interested in it, and that's all that matters. It looks like a neat game, but it just looks graphically like a 3DS game to me. Maybe a tad higher quality, but definitely around those specs. Looks a bit rough right now, but might be worth watching out for. Too soon to tell I think. @patbacknitro18 I'd say more PS Vita quality. The artworks look beautiful but the 3D doesn't look great. I'd need to see it animated to judge. And yes it gave me a Rise of the Planet of the Apes/Divergent vibe with that post apocalyptic look. So this can be upcoming but "Songs of Memories" can't be made for the Switch. I smell something phishy going on here. And it STINKS to high heaven of Sony BULLYING developers. I mean the other kind of "rated M". Painting the Switch red. Something about this seems off, right off the bat. I wish it actually was Tokyo Jungle, that was my favourite game on the PS3 and I doubt that Sony will bring it back. Sounds interesting. I'm always up for an ambiguously lesbian post-apocalyptic survival sim. The 200th anime game on Switch which looks like the other 199 ones. It´s like they all are one and the same artist. @CaPPa I really enjoyed Tokyo Jungle as well. Gets the award for best in-game use of a Pomeranian. Kidding aside, very compelling game; challenging & lots of fun. This game seems entirely different to me, though, despite the similar setting. Will have to see what they reveal later. Cue in the triggered feminists, because they have nothing better to do. The images gave me Coppelion vibes for some reason heheh. Looks very good! Will get for sure hopefully.